This beautiful wine stopper cork screw combination is both a valuable tool and a beautiful piece of tableware. Made from the finest materials so as to provide beautiful and long lasting enrichment to your dining table. Handle span is 4 1/2 inches. 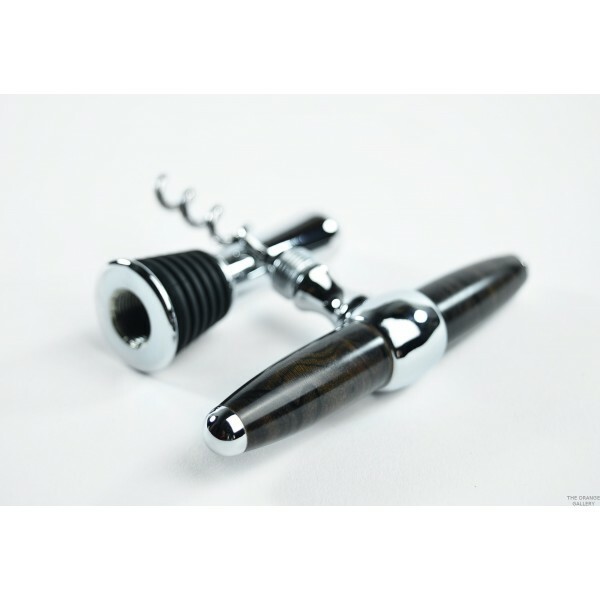 This beautiful bottle stopper doubles as a cork-screw when opening the bottle. 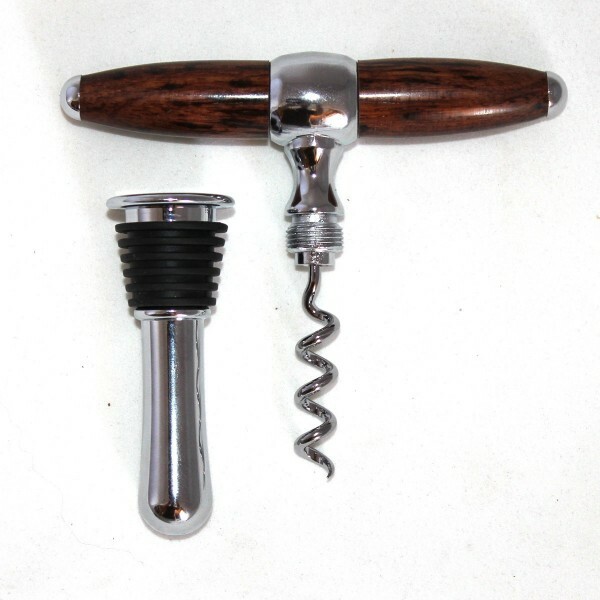 This tool was made here in the workshop at The Orange Gallery from beautiful local hardwood and chrome plated steel.